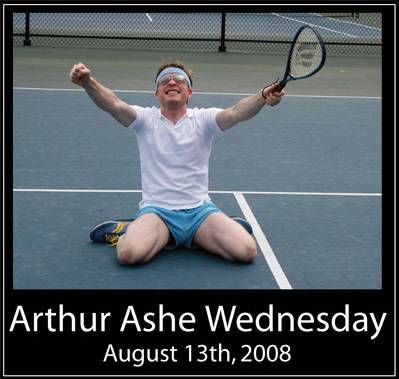 Today is Arthur Ashe Wednesday, which means that The Motion Sick will be rocking out at Church (rock club) in Boston (did we mention FREE!!!) and serving non-stop aces at you! In case you foolishly missed last week’s Splash Wednesday show (or even if you were there), check out some fabulous photographs at http://www.themotionsick.com/ash/splash.html to see how much fun we had.